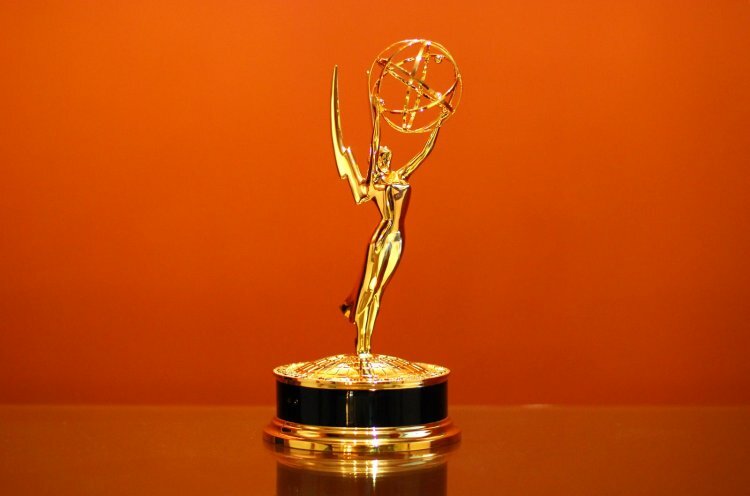 Where’s Giancarlo Esposito’s “Breaking Bad” Emmy? Gustavo “Gus” Fring, screen shot from Breaking Bad episode, Season 3, August 30, 2014. (http://geeknation.com). Qualifies as fair use under US copyright laws – lower resolution and relevance to subject matter. Aaron Paul as Jesse Pinkman in Breaking Bad, Season 5, September 2, 2013. (http://www.businessinsider.com). Giancarlo Esposito, for those of you who still remember, played Gustavo “Gus” Fring, a mastermind of a drug lord and pillar of the Albuquerque, New Mexico community. His character was on for a few episodes at the end of Season 2 of Breaking Bad, and for all of Seasons 3 and 4. His character was so serene yet so single-minded, full of rage like Walter White. Yet Fring’s was a rational, focused, disciplined rage, handed out and practiced, like an usher handing out programs at a Sunday church service. 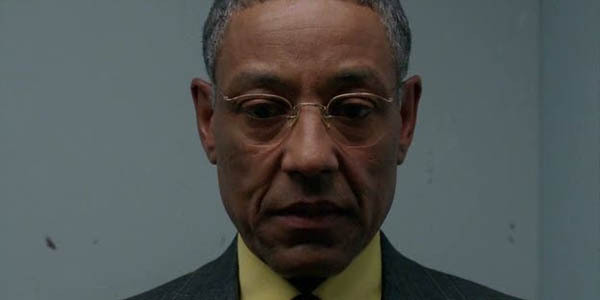 Esposito’s Gus Fring was the character upon which Cranston’s Walter White pivoted, rising and falling like a pirouetting ballerina on a spin top. Without Fring, Walter White and Breaking Bad doesn’t make it past Season 2. The character’s dead or in jail long before he has a chance to truly make his mark. Joel Kinnaman as Det. 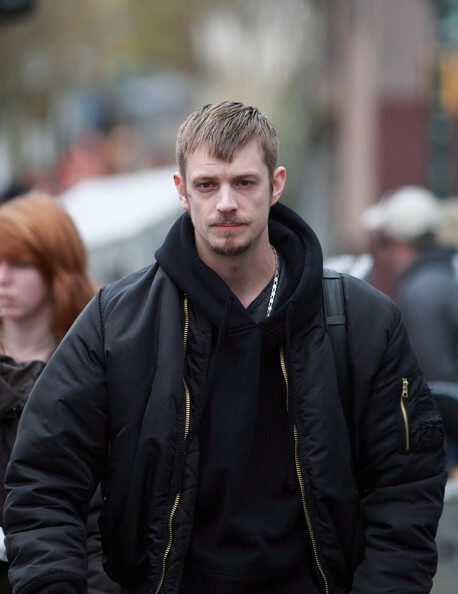 Stephen Holder in The Killing (2011-14), Vancouver, BC, Canada March 29, 2012. (http://www1.zimbio.com/). But I guess the Emmy voters didn’t see how central Gus Fring was to the Walter White story. I mean, why else give multiple Emmys to a five-foot-four-inch version of Eminem in Aaron Paul instead? 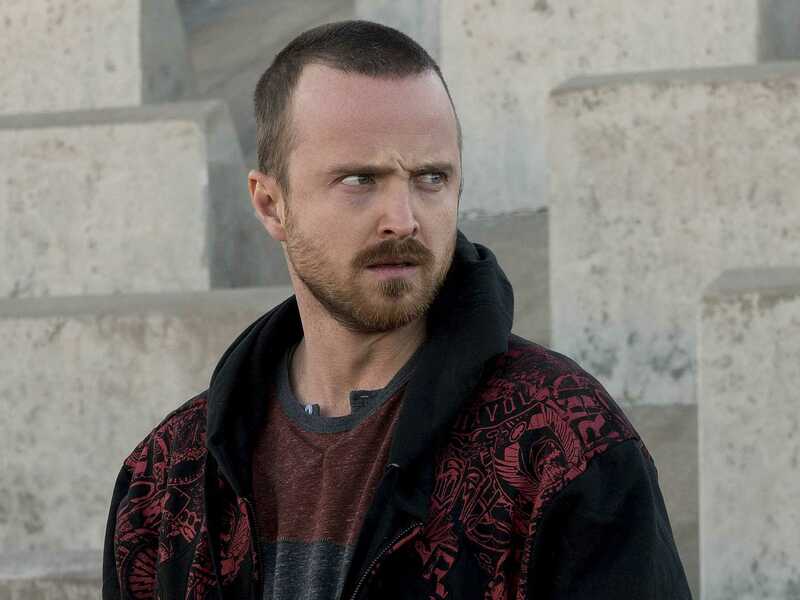 Yes, Paul as Jesse Pinkman is pretty good at being a conflicted affluent hip-hopster, but his Pinkman isn’t even on par with Joel Kinnaman, the taller Eminem-esque reject-as-cop on the series The Killing (which came to a conclusion earlier this month on Netflix). The idea that Paul and Esposito competed for the same award in 2012 was an insult to the acting profession, like comparing fresh squeezed, no-pulp orange juice to Orange Kool-Aid made with high fructose corn syrup. Really, in thinking about Cranston’s Walter White and the arch of the character, one cannot do it without a serious consideration of Esposito’s Gus Fring. Without Esposito’s Fring, the show is what the Emmys and Hollywood says it is, a story of a man at fifty, a “brilliant yet foolish has-been-who-really-should’ve-been-somebody high school chemistry teacher.” One who became a desperate crystal meth maker and dealer while going through chemotherapy for Stage 4 or Stage 5 lung cancer. A man who turns bad, first in a dark comedic way, then later, as a just plain macabre and dangerously sad character, leaving a trail of bodies along the way. That version of Breaking Bad, though, doesn’t become the most watched TV series of all time. The real version, with Esposito’s Fring, gave us the full complexity of Cranston’s Walter White, especially his White male angst. Though not as obvious as the White male angst of ’90s grunge as exhibited in Pearl Jam, Nirvana or Live, Cranston’s Walter White is one that until his cancer had lived a life of quiet but smoldering rage, a rage that found its outlet in making and dealing methamphetamine so pure that Ivory Soap and Nazi Germans would be jealous. Only to be second fiddle to an Afro-Latino who’s in control of a billion-dollar drug ring? If that doesn’t bring issues of White entitlement and White resentment to the fore, then we’re in an alternate universe. 2013 Emmy trophy, January 29, 2014. (http://radiodelta.fm). That’s why Breaking Bad‘s Seasons 2-4 were so worth watching, and the extended Season 5 so anticlimactic. The very reason it was inevitable Cranston’s Walter White would get caught and lose everything is the reason why Esposito’s Fring never did while he was alive. Fring knew that he had to always be in control, to always look as if he was a part of an illusion of suburban White Americana, even though in reality his was a world of constant duality. Fring could never risk being as unabashedly arrogant as Cranston’s Walter White precisely because Fring lacked the protections that came with racial entitlement. As Fring knew, the assumption that Black and Brown skin equated with criminality was ever present, and Fring would never confirm that stereotype, even as he personified it. Walter White, his resentment about how his career and life turned out, this sense that though he was part of the Whiteness club, he hadn’t reap the material benefits of it, left him hopelessly in search of wealth and respect. But more than that. Cranston’s Walter White couldn’t carry that wealth and respect quietly like Esposito’s Fring, at least once White obtained them both. No, White had to let the world know that he was Heisenberg, that he was in charge. That was one of the reasons why he came to resent Fring in the first place. To play a character like Gustavo Fring as well as Giancarlo Esposito did, to camouflage as much as he revealed, to juxtapose Fring’s humanity and callous disregard for such was what earned Esposito an Emmy nomination in 2012, at least. To also juxtapose his sense of quiet triumph and control in the midst of the world of Whiteness against Cranston’s Walter White and the White resentment and rage that could explode at any moment? That’s Breaking Bad even in Season 5, even minus Esposito’s Fring being present. Once again, a person of color’s genius has gone unrewarded, and others received rewards on the backs of our work, while we are to be forgotten by most, after being killed off. It’s such a shame.